Intel Corporation (NASDAQ:INTC) recently reported earnings for its first quarter. In terms of year over year numbers, Intel reported declines of 3% in revenue and 25% in net income. Given the downturn in the PC industry, the declines in revenue and earnings are not surprising. According to the IDC, global PC shipments fell 14% in the first quarter of 2013. The most intriguing part of the call was Intel Corporation (NASDAQ:INTC)’s confidence for the full year. Despite the slowdown in the PC industry, Intel Corporation (NASDAQ:INTC)’s revenue forecast for the full year remained unchanged. In its forecast, the company is confident that it will be able to achieve low single digit percentage growth in revenue. This is a bold declaration, especially since Microsoft Corporation (NASDAQ:MSFT)’s Windows 8 is struggling to get going. According to netmartketshare, Windows 8’s market share in desktops climbed from 2.7% in February to 3.2% in March. While the OS has posted consecutive months of gains in market share since its launch, its adoption trajectory is significantly lower than Windows 7. In over the same amount of time, Windows 7 reached 10.5% market share. Furthermore, research firm Gartner forecasts a continued slow market for the desktop and notebook PC market up to 2017. Gartner forecasts that desktop and notebook PC shipments will decline from 341 million units in 2012 to 272 million units in 2017. A lot of Intel’s confidence stems from Haswell. Haswell is Intel’s “tock” innovation in its tick-tock model for microprocessors. The “tick” in Intel’s model is advancement in manufacturing technology, while the “tock” is a new microarchitecture. Haswell is a new microarchitecture that will use Intel’s 22nm process. While chip manufacturer’s projections for new processors should always be taken with a grain of salt, Intel expects that Haswell will result in touch-enabled Ultrabooks in the $499 to $599 price range, with $599 being the common price. That is a big reduction from today’s prices. Currently, most Ultrabooks cost at least $800. In addition, Intel expects that Bay Trail will probably result in touch enabled notebooks priced as low as $200. 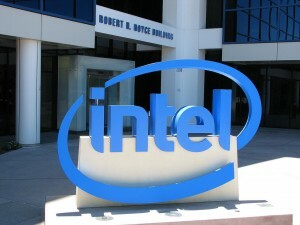 Bay Trail is Intel’s upcoming Atom SoC, which is expected to be released in the second half of 2013. Intel will launch Haswell in the second quarter. There are a couple of ways to think about this. It could be argued that Intel Corporation (NASDAQ:INTC) is being arrogant for thinking that its new processors will suddenly produce growth in the second half of the year. While that could be argued, Intel actually has some valid points.